On episode 173 I'm joined by Dr. Ron Donelson, author of Rapidly Reversible Low Back Pain. We discuss his book; why he wrote it, the obstacles involved in advancing MDT into care earlier and the five stakeholders involved in spine care. This week in MCF! 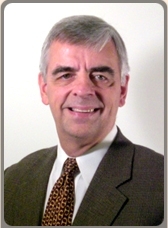 Dr. Ron Donelson MD, MS, author of Rapidly Reversible Low Back Pain, is a previous guest on Episode 3. He joins us again to discuss many topics. He describes his advocacy for Kevin Spratt’s concepts of ADTO modeling for research, which you can consider here, the prescription of intervention to patient’s with non-specific diagnoses and the key players involved in the contemporary healthcare landscape. The key stakeholders in the current healthcare landscape are the patients, self-insured employers, payers, clinicians, and other providers of services. Dr. Donelson discusses the interests involved in all stakeholders and how mechanically-minded clinicians can consider investing time to educate each stakeholder group. Explaining the concept of prescribing treatments to non-specific conditions, Dr. Donelson discusses the analogy of angina and the potential application of different treatments without subgrouping - he then translates that analogy to the current practice of non-specific low back pain and the multiple treatments implemented for that diagnosis. More info on the ADTO model proposed by Kevin Spratt can be found here. Consider Rapidly Reversible Low Back Pain for your reading list.